Professional development opportunities are a ubiquitous part of a teacher’s career. Sessions, workshops and seminars aim to update teachers’ knowledge and skills in light of new teaching techniques and educational research, enable them to apply changes to teaching practice, and to exchange information and expertise amongst colleagues and other academics . Professional development has been defined as “activities that develop an individual’s skills, knowledge, expertise and other characteristics as a teacher” . Yet in a 2009 OECD (Organisation for Economic Cooperation and Development) survey, a significant proportion of teachers said professional development does not meet their needs. One of the main reasons is a lack of suitable development opportunities. This suggests a real need for policy makers and school leaders to ensure the chances teachers have to improve and learn from their practice are effective and meet their needs . Consider the typical professional development session: The learning focus is typically on the acquisition of new educational knowledge and usually involves attendance at an externally provided conference or workshop. Basically, it’s an isolated event, focused on practices decontextualized from the immediate demands of the classroom . The take away of it is that teachers might find the information interesting, but it’s rarely applied in their classrooms. They are too busy with the competing and immediate demands of their students and the curriculum content that needs to be taught to spend time trying to fit in something new that does not seem to be directly relevant . It’s clear much of the current investment in professional development has failed to meet its goals, particularly when it comes to improving student learning and engagement. Thinking of it as professional learning instead of professional development is key to improving these opportunities. The term professional development has connotations of delivery of information to teachers in order to influence their practice, whereas professional learning implies an internal process in which teachers create professional knowledge through interaction with colleagues and other educators in a way that challenges previous assumptions and creates new meanings. Challenge and meaning making are essential because solving entrenched educational problems requires transformative rather than additive change to teaching practice. 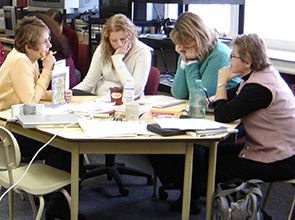 Professional learning requires teachers to be seriously engaged in their learning, and it needs to be ongoing and in depth – not the brief and superficial engagement of teachers that occur in present PD programs. Additionally, effective teacher professional learning needs to be motivated by a need to know, not someone else’s desire to tell . What are these shifts in thinking about professional learning? Students must be at the centre of the process: Having students at the centre means being committed through professional learning to create the conditions where everyone learns, including leaders, teachers and students. It is no longer acceptable for teachers and leaders to say they provided opportunities for students to learn but they did not learn . Focus on professional knowledge and skills: The knowledge and skills developed through professional learning must meet the double demand of being both practical and understood in principled ways that can be used to solve teaching and learning challenges encountered in the future. Professional learning as systematic inquiry: This is about the nature of professional learning. Professional learning is an active process of systematic inquiry into the effectiveness of practice for student engagement, learning and well-being. This inquiry process has many parallels to formative assessment practices found to be effective in promoting student learning. The same processes are applicable to teacher learning. The main difference is that teachers must reference their learning to both themselves and their students. Teachers frame their learning by identifying goals for both; they create partnerships with those with expertise to ensure their learning is focused and achieves desired goals; and they generate information about the progress they are making so that they can monitor and adjust their learning. There’s more on how to take an inquiry stance on practice later in this chapter. 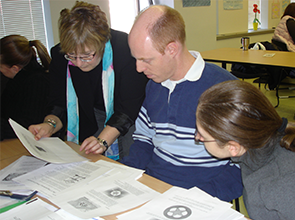 Professional learning at all levels: Just like teachers, facilitators of professional learning and school leaders need to engage in ongoing inquiry into the impact of their policies and practices. An important question to ask is whether approaches to professional learning are consistent – is the rhetoric around developing motivated professionals who can make informed decisions about their practice based on deep knowledge, then contradicted by approaches to professional learning that involve brief workshops about how to teach something? Chapter 6 explores this more in-depth.